Here are some pictures of the completed job at Pinhoe, on the old Ibstock brick-works site. 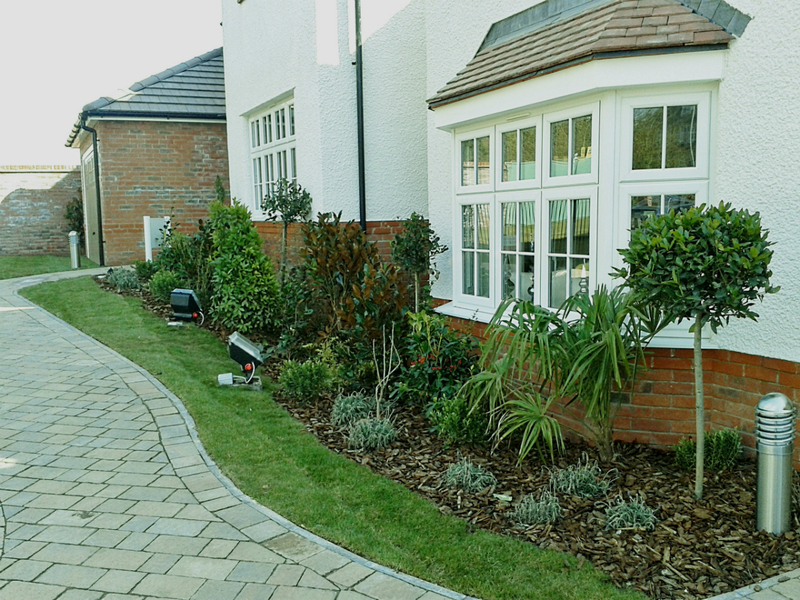 This project consisted of three show home gardens, front and rear and the front of the marketing suite and car parking area. See previous blogs for Pinhoe to view before and after pictures. The pictures above show the three rear gardens and the many features that were used, including the enormous rocks, arbours, decking etc. The plants were carefully selected to complement the setting. The first picture above shows the planting to the front of the show homes, the second is a view of the planting to the front of the marketing suite and the parking area. This project was successfully completed on time and on budget.